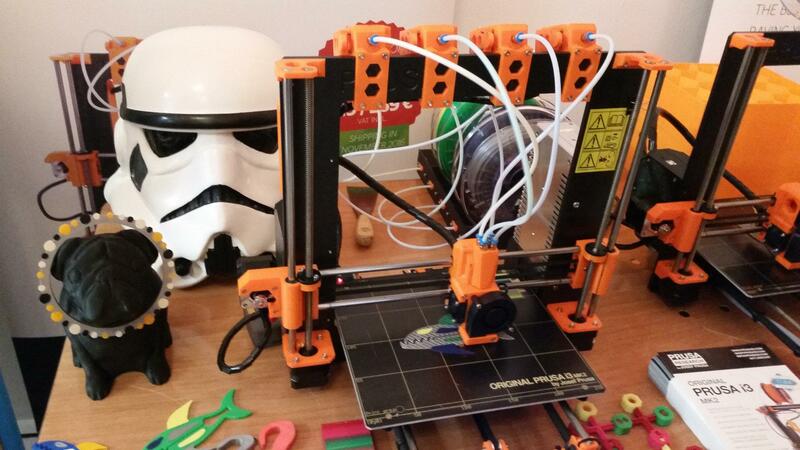 We’ve been thinking of buying one more 3D printer for a number of reasons. Firstly, we wanted to try something different. We’ve had a great experience with our DeltaWasp, but wanted to go for a different process or printer type. Another reason was that using one printer was not enough, when we were aiming to finish a project before the end of weekend. We seriously considered getting a DLP printer, and we saw a very attractive one at the Digical Show. However, after considering our options we decided to go for the second FDM printer, but a cartesian type. It could utilise the same material, save us money, space and time. In our YouTube video below, we are showing the unboxing, calibrating, changing filament and our first prints with Original Prusa i3 MK2. On the first day, we tested two G-code files that came with the manufacturer’s SD card. The results were of a brilliant quality though we didn’t expect the printing speed to be so low. We think that in the near future we will find a perfect balance between quality and speed. As we are the ones who never leave our printing machine on overnight for safety and sleep quality reasons, speed matters a lot. Afterwards, we took a file from an STL sharing website. We were pleasantly surprised that Simplify3D supports Prusa i3 MK2 and has its default settings for slicing objects. 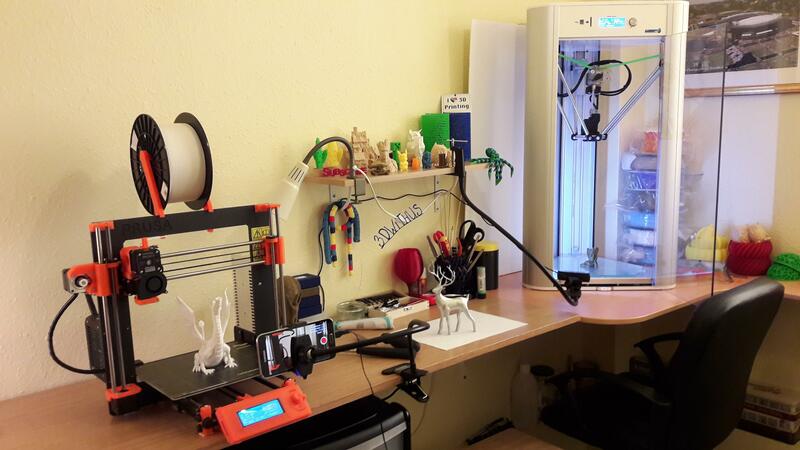 Now, that we have 2 different types of 3D printers on our hands, Delta and Cartesian, we can make the comparison and post our reviews after we’ve tested the new printer thoroughly.